Ok, ok we know that robins are present in Michigan throughout the winter. Don’t write in about it. But there ARE way fewer of them as our normal summer residents head to Florida and only their Canadian cousins stop over here, hopefully on the way to Florida too. Still, this traditional harbinger of Michigan spring picked a particularly arctic day to stop in at a local feeder and hasn’t been seen since. 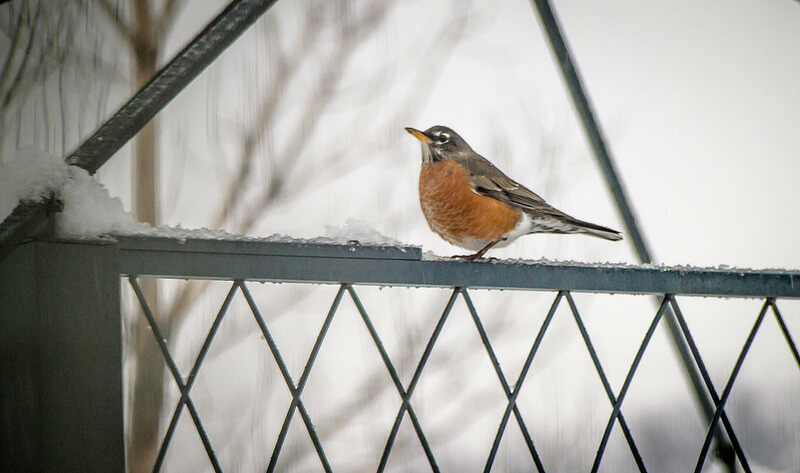 But we’ll trust the return of the robins (and red-winged blackbirds) for weather prognostication over that stupid groundhog any day.